Northland Family Planning Clinic v. Center for Bio-Ethical Reform, Inc.
AFLC Co-Founders and Senior Counsel David Yerushalmi and Robert Muise are representing the Center for Bio-Ethical Reform, Inc. (CBR), a pro-life organization that was sued for copyright infringement by Northland Family Planning Clinic, an abortion provider, because CBR made fair use of Northland’s pro-abortion video to counter its deceptive message. As the evidence in the case shows, CBR, through its executive director, Gregg Cunningham, made “fair use” of portions of the Northland video that the abortionists claim is copyrighted material. The “fair use” doctrine is a complete defense to a claim of copyright infringement, and it was created in large part to protect the right to freedom of speech. Through the CBR video, Cunningham transformed the Northland video by adding graphic images of aborted fetuses to certain parts of the video, a jarring music score, a scripture citation to 2 Corinthians 11:13-14, which warns viewers that Satan masquerades as “an angel of light,” and an introduction quoting George Orwell, which condemns the use of lies to obscure murder, so as to criticize and parody the pro-abortion message conveyed by the Northland video. CBR’s video was made for nonprofit, non-commercial, educational purposes. 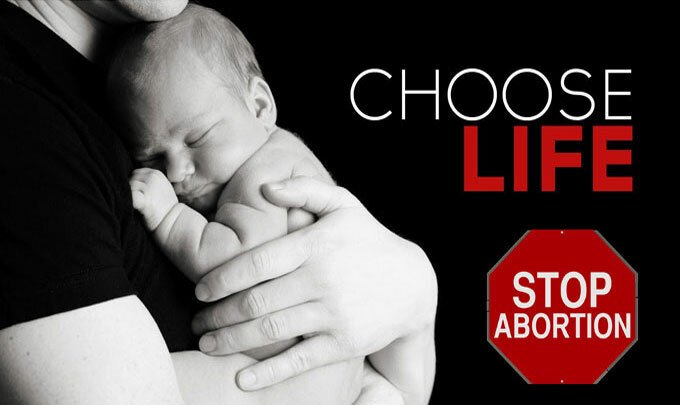 CBR, an organization that exposes the lies about abortion better than any other pro-life organization, accomplished that task in spades with its video. CBR’s video parodies and mocks both the deceptive message and the deceptive manner of Northland’s staffer who narrates the pro-abortion video. Northland’s consistent theme is the lie that abortion is “normal” and “good.” Every aspect of the staffer’s attire, demeanor, syntax, and intonation is calculated to reinforce this deception. The same is true with the flowers on her desk, the soft background music, and the framed art on her walls. CBR’s video rebuts all this duplicity with an accusatory literary quote in its introduction, jarring music in its score, and graphic imagery in its stark video refutation. CASE UPDATE (April 16, 2012): AFLC filed a motion in the U.S. District Court for the Central District of California, asking the court to rule in its favor as a matter of law. You can read AFLC’s memorandum of law here. CASE UPDATE (May 11, 2012): AFLC filed its opposition to Northland’s motion for partial judgment as a matter of law. In the motion, AFLC points out that Northland’s lawsuit is objectively unreasonable and frivolous, and that it was brought in bad faith. Read AFLC’s opposition memorandum of law here. CASE UPDATE (May 29, 2012): AFLC filed its supplemental brief in support of its motion for summary judgment, which was requested by the court. You can read AFLC’s brief here. CASE UPDATE (June 4, 2012): AFLC presented argument in California federal court on the cross motions for summary judgement filed by both parties. CASE UPDATE (June 15, 2012): District Court Judge James V. Selna ruled in favor of AFLC and its clients, ruling that CBR, through its executive director, Gregg Cunningham, made “fair use” of portions of the Northland video that the abortion clinic claimed was copyrighted material. CASE UPDATE (July 11, 2012): As a result of AFLC’s victory against the abortion clinic (read more here), AFLC filed a motion with the federal court, asking the court to award $346,387.96 in attorneys’ fees and costs against the clinic. You can read AFLC’s legal brief here.